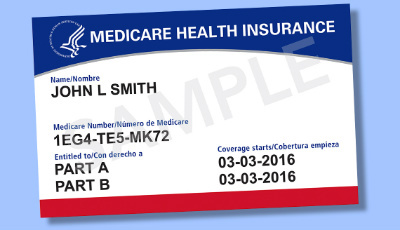 Are you going to be eligible for Medicare this year? Then this FREE Medicare program is for you! Sarah Florimonte, a Community Liaison for the Ohio Department of Insurance’s OSHIIP division, will cover Medicare Part A and Part B benefits, the prescription drug benefit (Part D), Medicare Advantage plans and Medicare supplement insurance. Ohio Senior Health Insurance Information Program representatives are trained by the state and do not sell or promote any insurance companies, policies, or agents. The Nordonia Hills Branch Library is your community information center, providing individualized reference service and access to information for citizens while serving the four Nordonia Hills communities: Macedonia, Northfield Center, Northfield Village, and Sagamore Hills. The library is a place to find computers and computer classes, WiFi, copying, scanning and faxing, and space for local community groups to meet throughout the year. In addition, library staff provides educational support and outreach to the Nordonia Hills schools, local early childhood and homeschool organizations, senior communities, governmental units, and other neighborhood service and social organizations. We offer a solid collection of books, movies, and music ready for you to borrow. We also present regular and unique programs for all ages, often with a local focus or theme. Author visits, crafters, performers and gamers, teen meet-ups, Story Times, interactive nature and art events, a writers’ guild, wellness programs, and engaging discussion groups (including a Socrates Cafe), are all available at the Nordonia Hills Branch Library. All of this makes the Nordonia Hills Branch Library your one-stop spot for the community's educational, informational, and entertainment needs and interests.